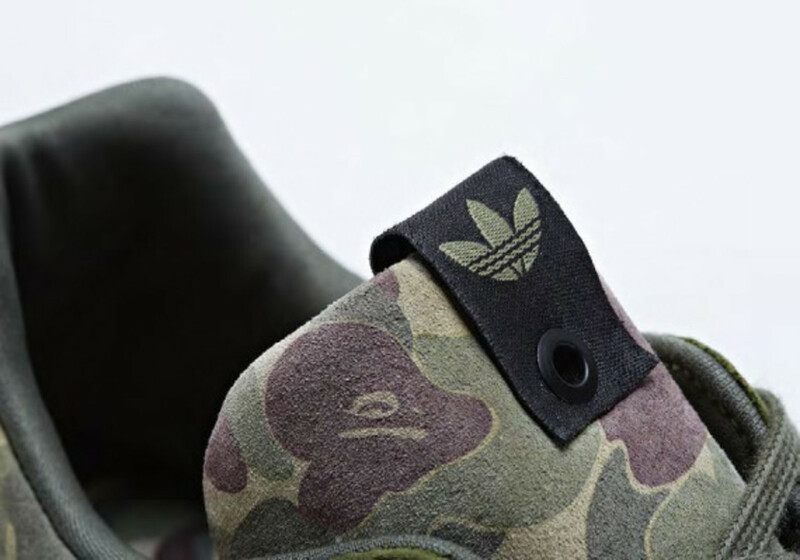 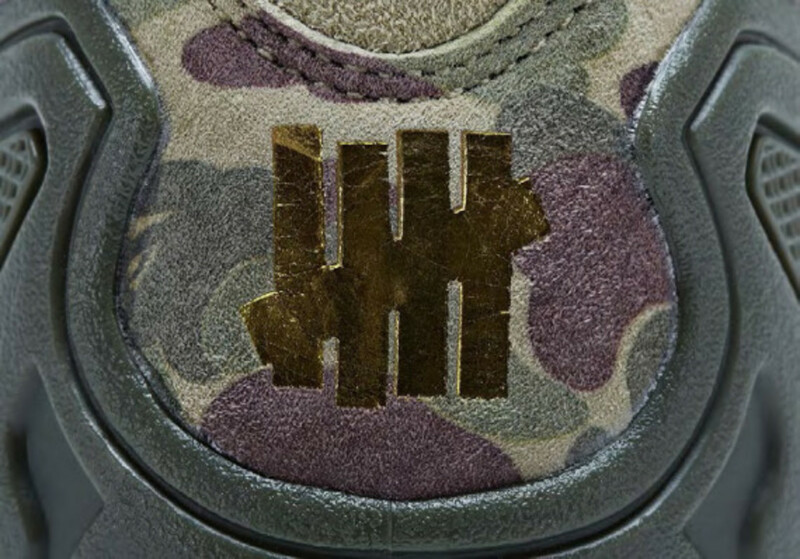 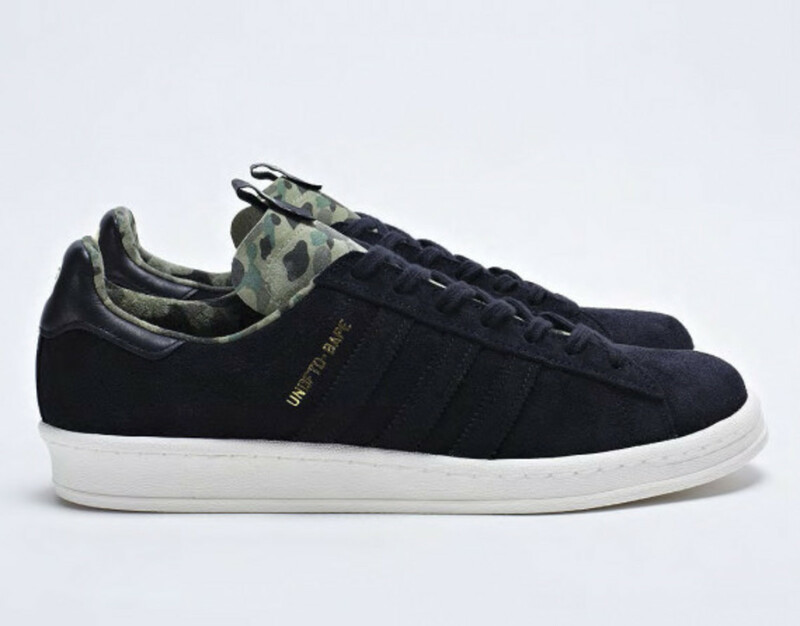 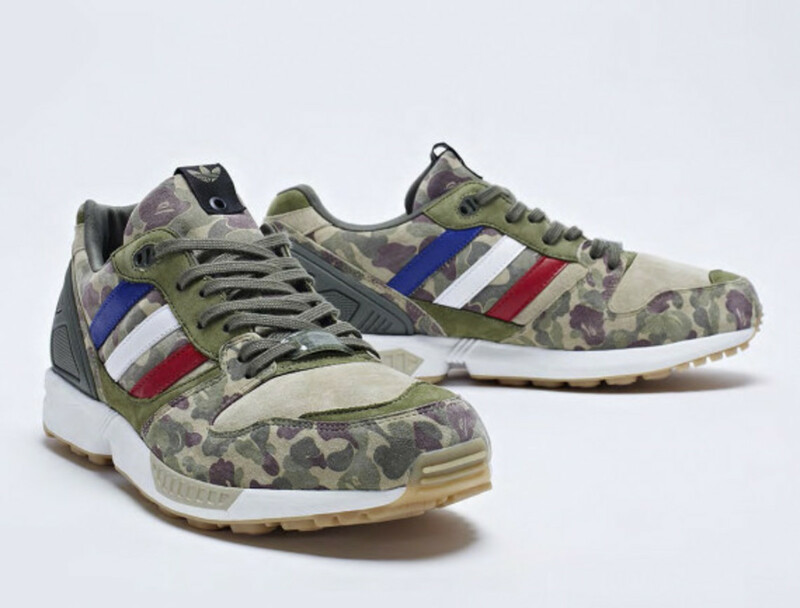 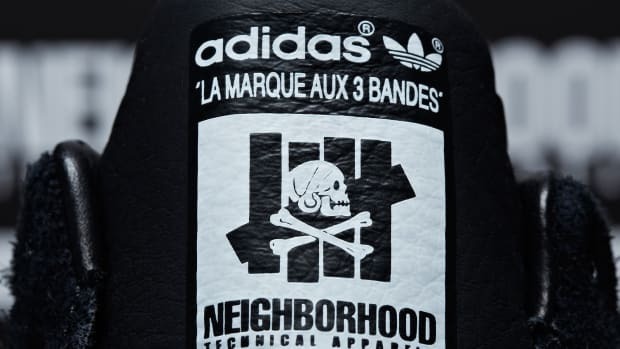 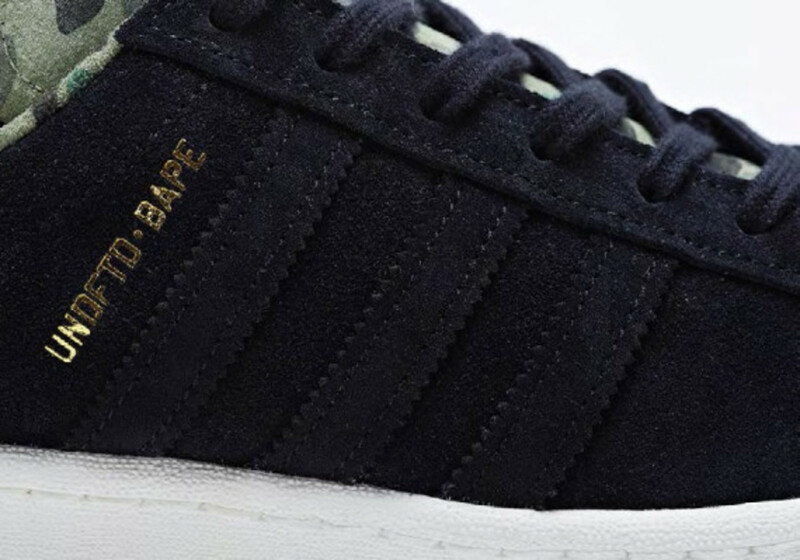 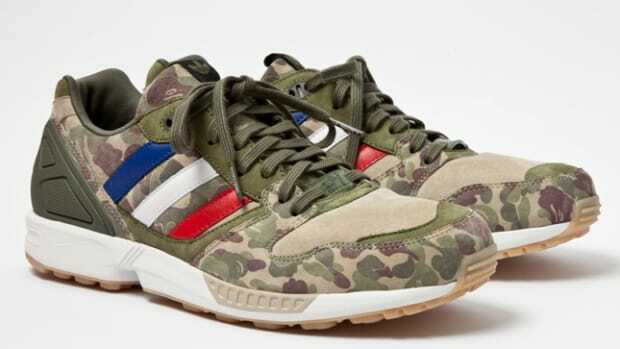 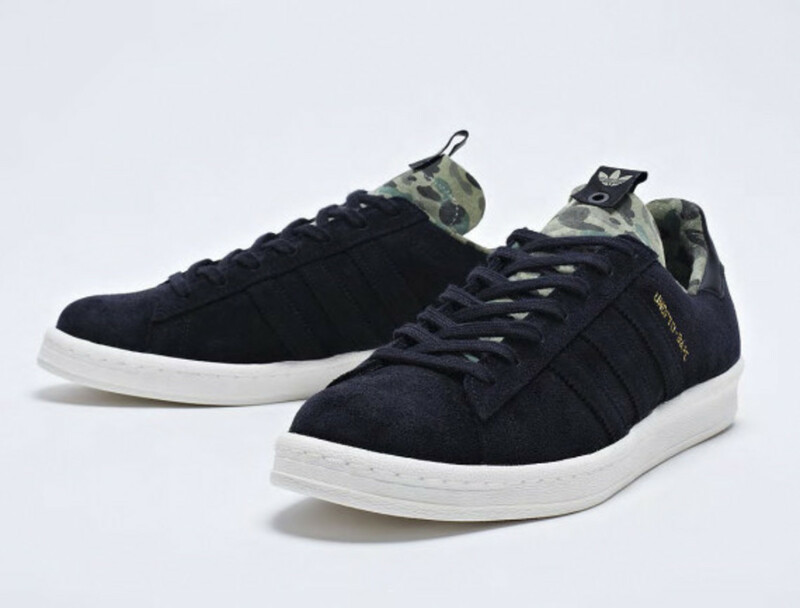 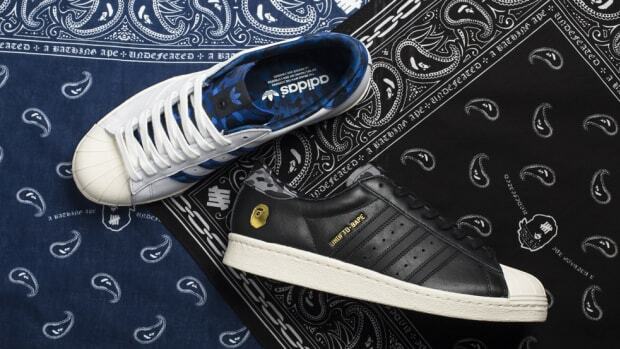 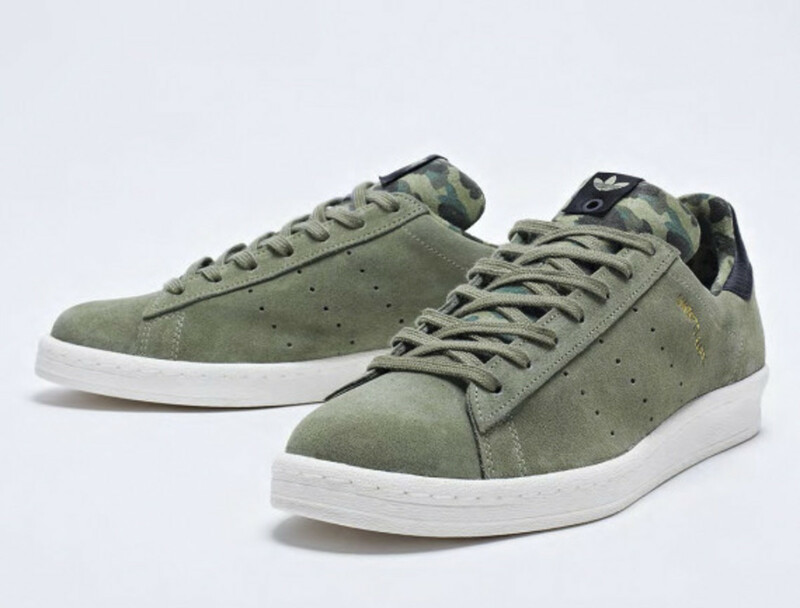 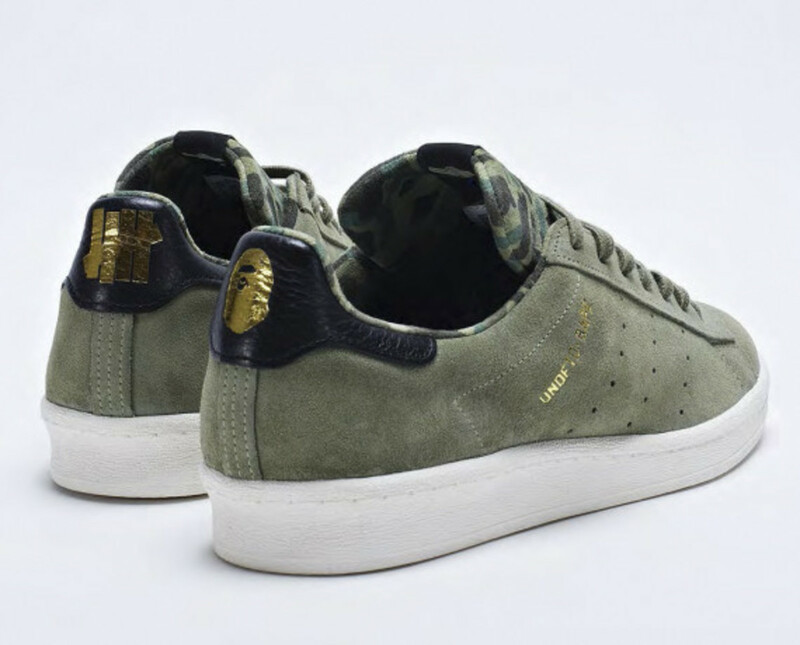 Rarely in the past have three influential brands collaborated under one unique design theme, a fact which made the A BATHING APE x Undefeated x adidas Originals Consortium Collection one of the most anticipated project in 2012. 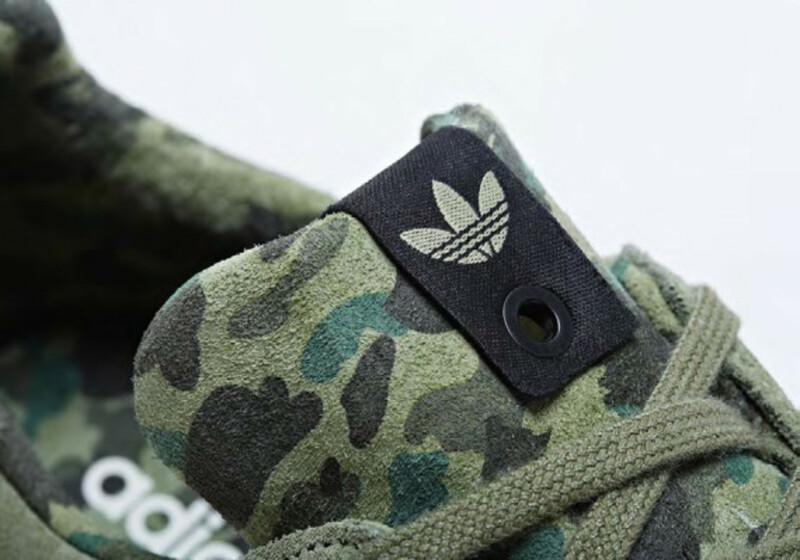 Yet, it wasn’t to be. 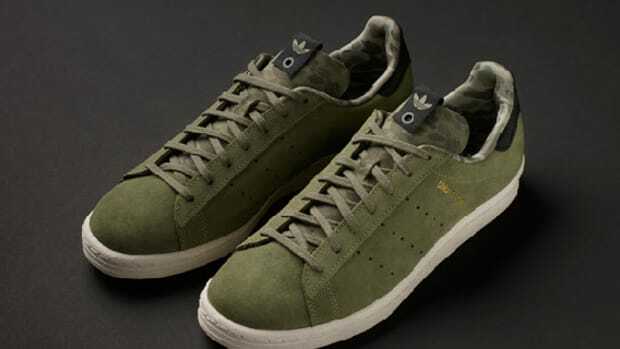 After several delays because of manufacturing issues, adidas postponed the launch indefinitely, that is till now. 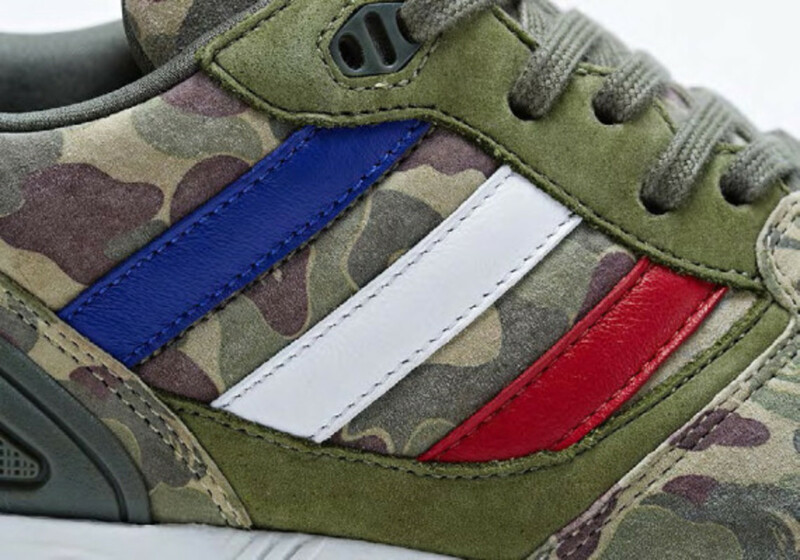 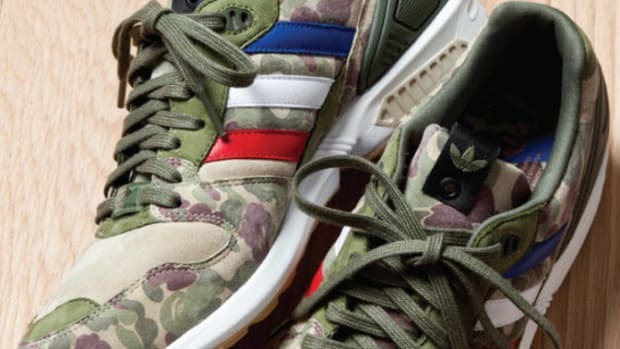 Starting next Saturday, April 13th, the BAPE x UNDFTD x adidas Originals Consortium Collection will finally be available through select retailers worldwide. 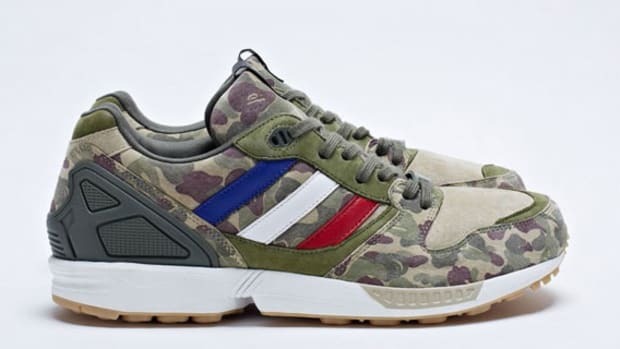 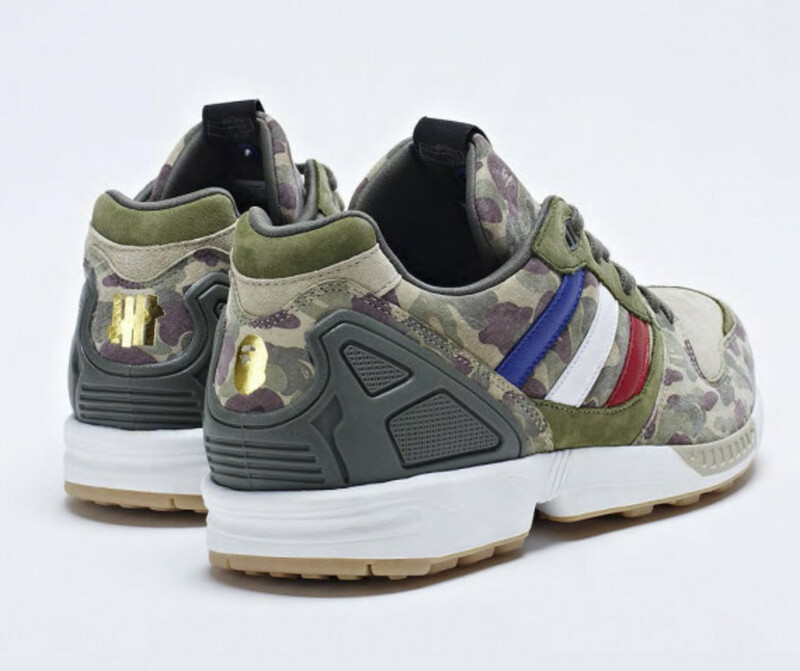 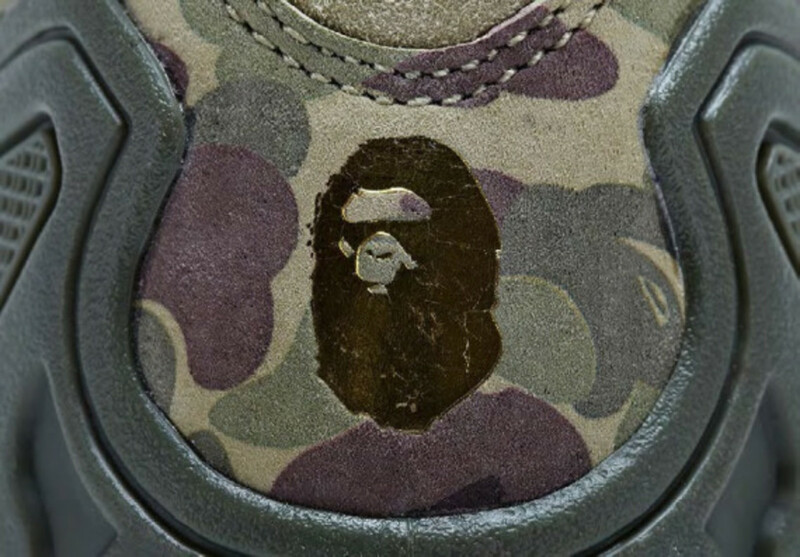 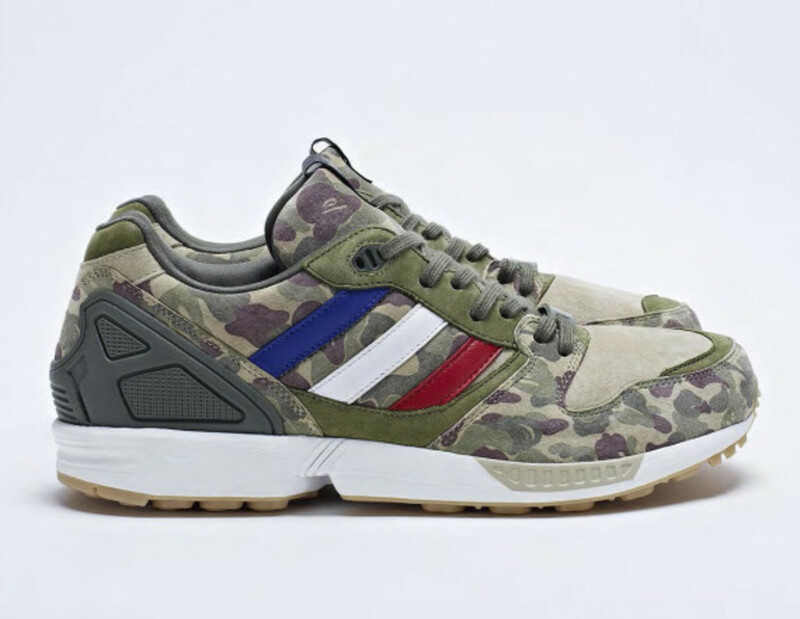 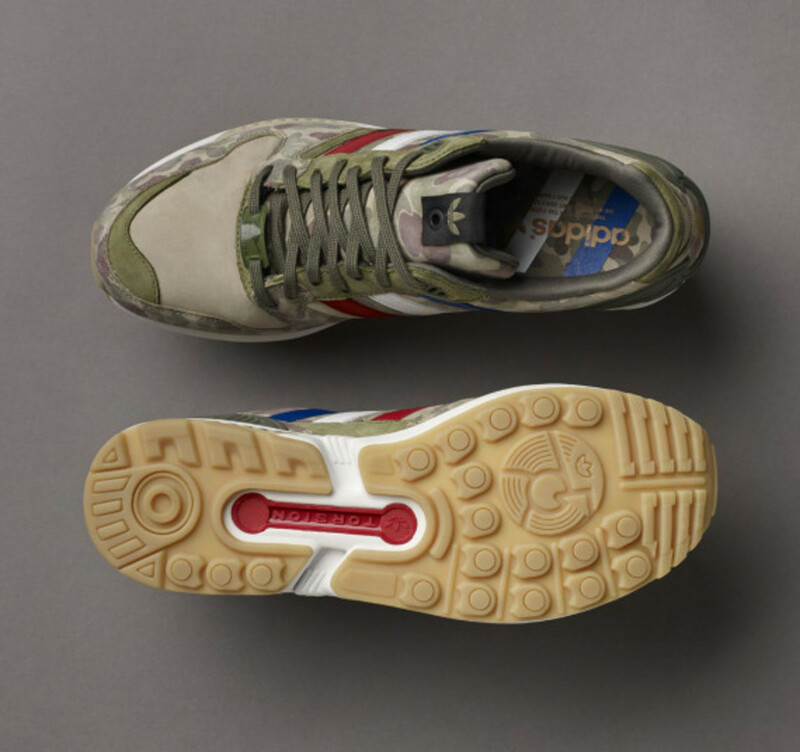 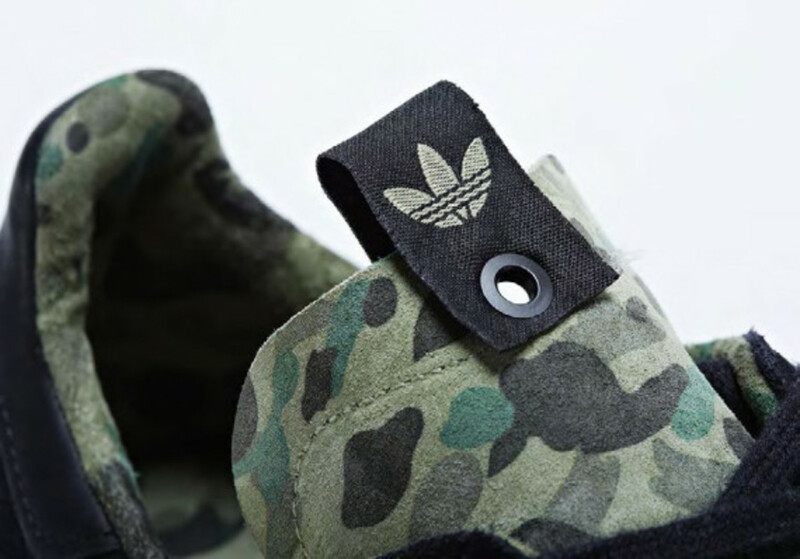 Inspired partly by BAPE’s trademarked “1st Camo” camouflage pattern, the collection features a slew of khaki, olive, taupe, and distinguishable colors like red, blue, and white. 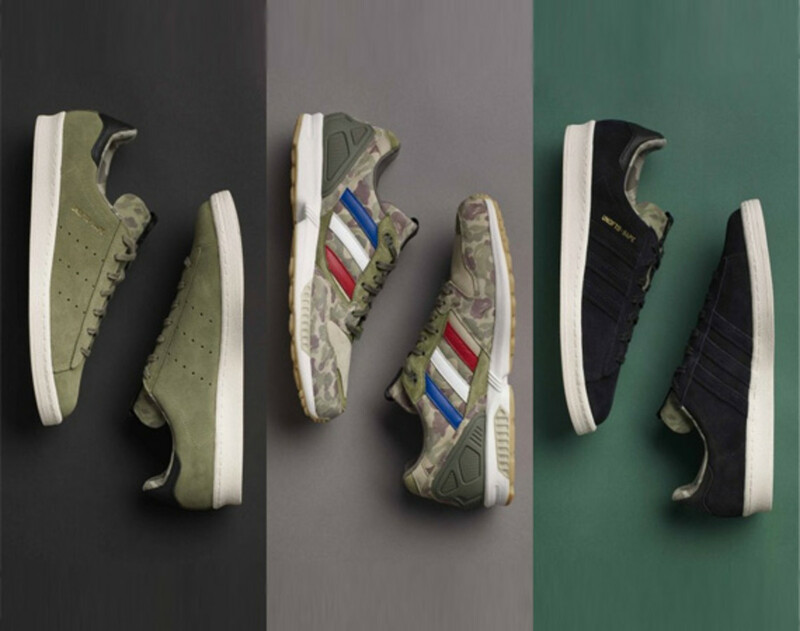 Comes in three variations – two adidas Campus 80s and one adidas ZX 5000, all in premium suede, smooth and tumbled leather constructs. 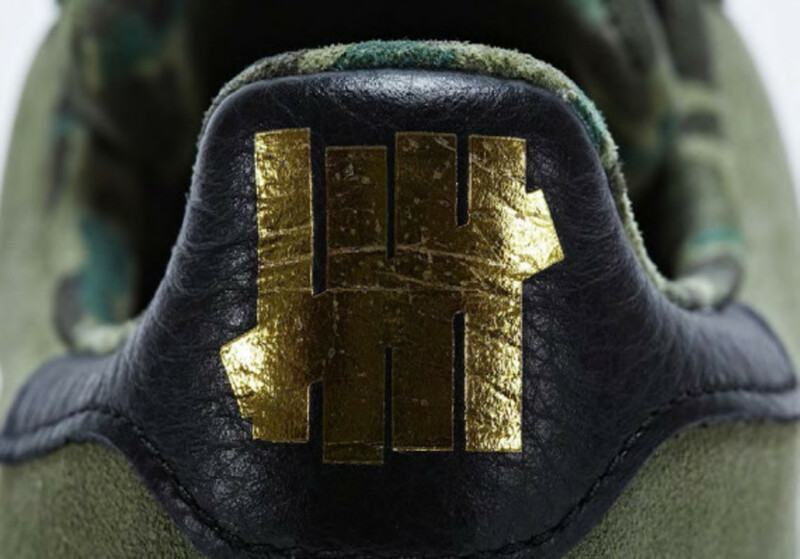 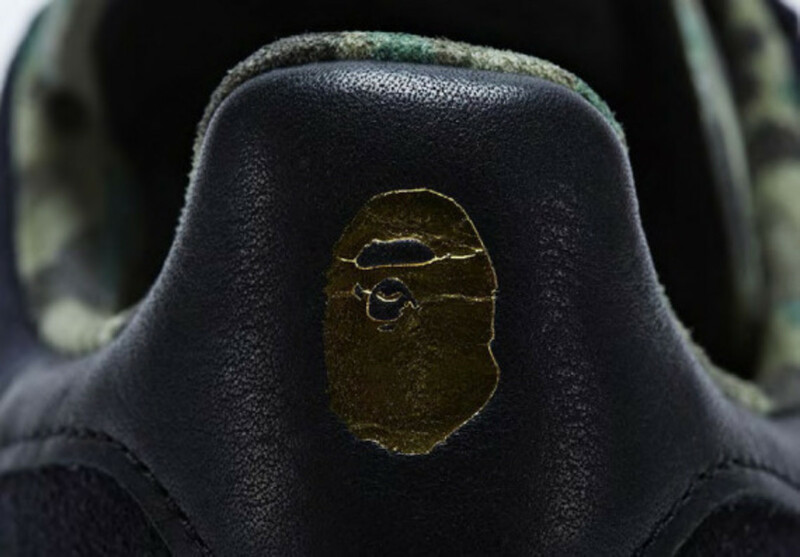 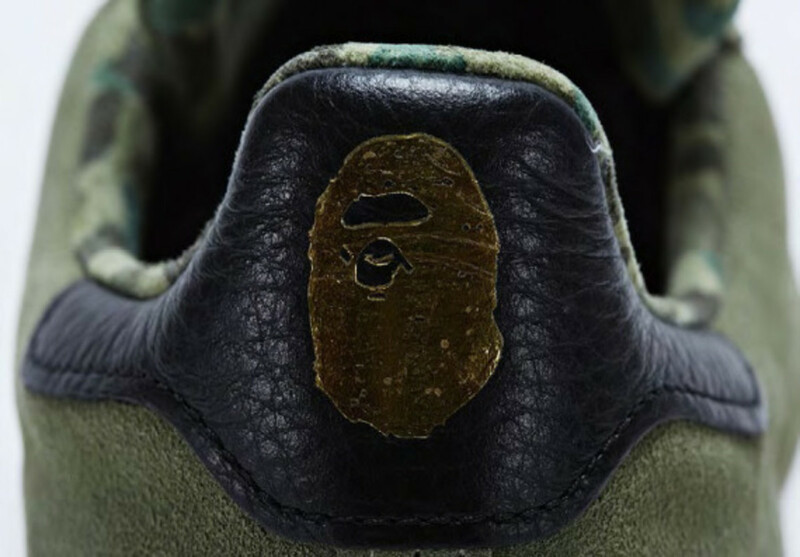 To further accentuate the collection’s exclusivity, designers added gold leaf branding with BAPE‘s Ape Head and UNDFTD‘s 5-Strike logos on each of the silhouettes. 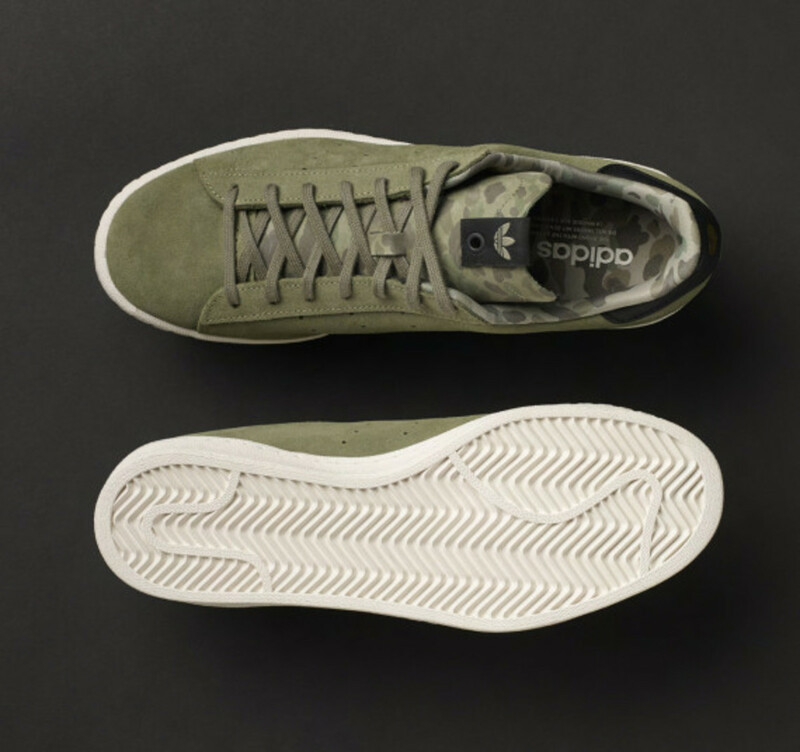 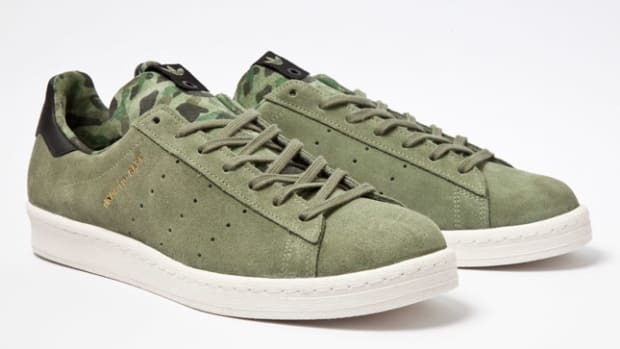 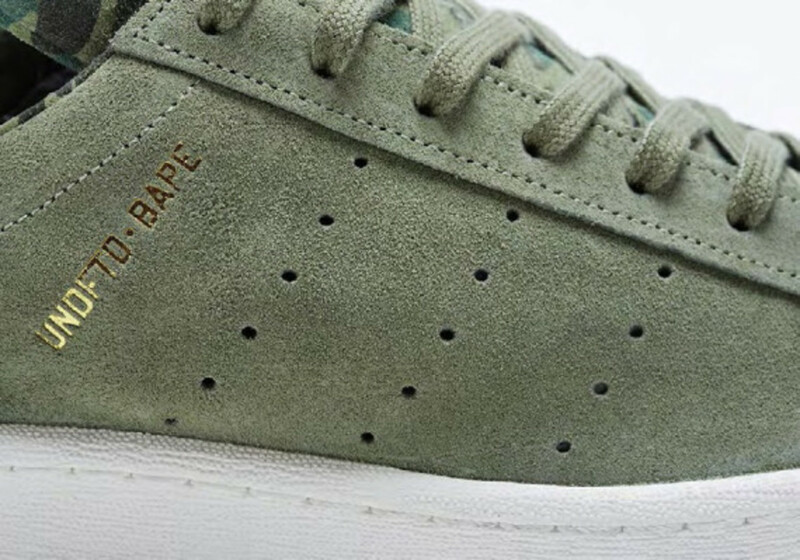 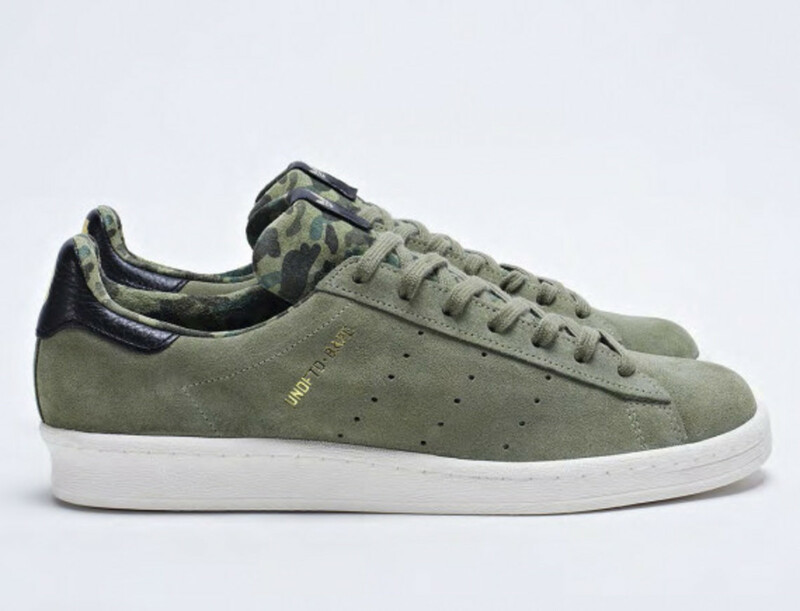 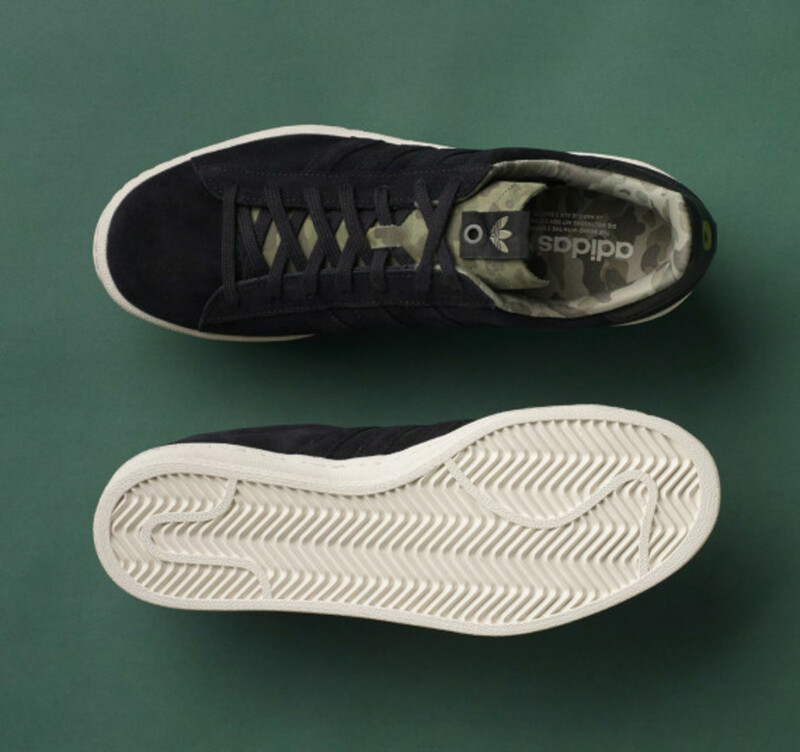 Due to demands, the Campus 80s in Olive will only be available through adidas concept stores such as No.6 London, No.74 Berlin, and the recently opened No.42 Paris, as well as select BAPE and UNDFTD storefronts. 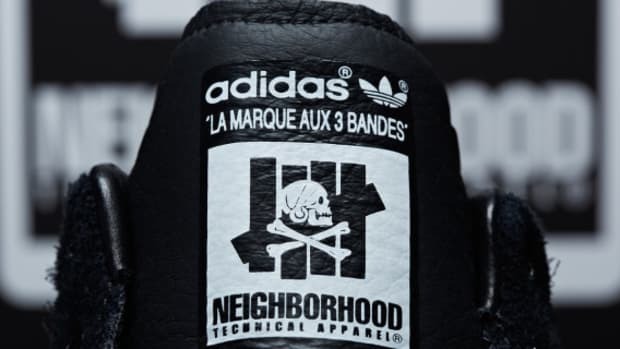 As for the Campus 80s in Black and the ZX 5000, both will go on sale at these locations and adidas Consortium partners worldwide. 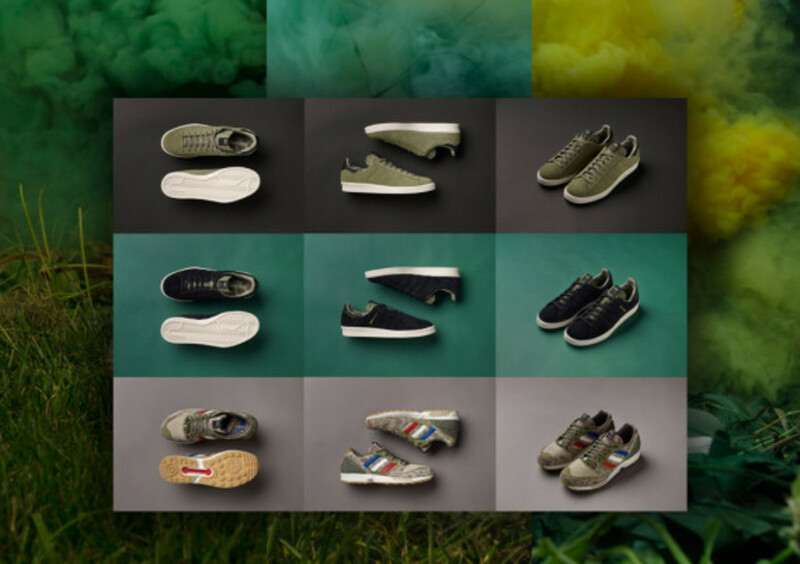 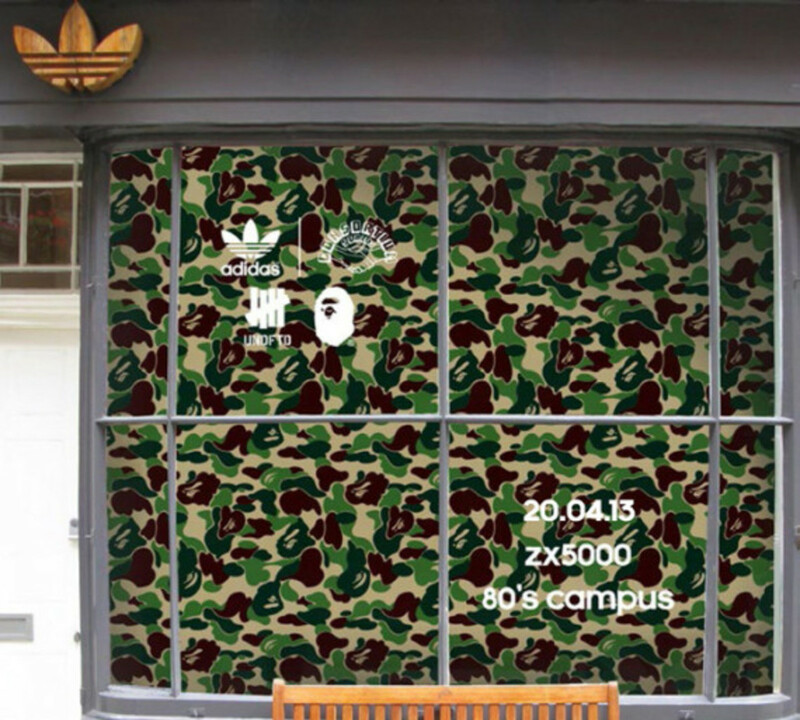 And if you happen to be in Berlin, the adidas No.74 Berlin will be hosting an early launch event in the days to come.